Backyard Autumn Nature and Thanksgiving in New Jersey. Blue Jay, Water Droplets, and Thanksgiving Dinner. 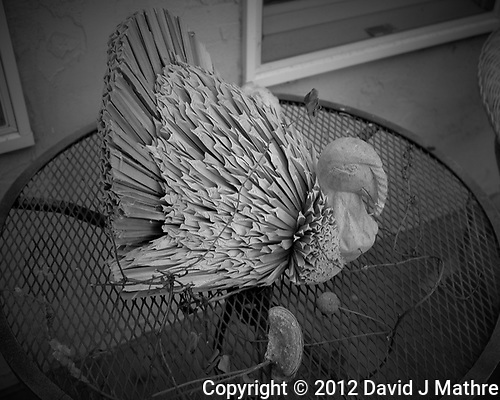 Turkey sculpture made from palm fronds? Image taken with a Leica X2 Camera (ISO 800, 24 mm, f/2.8, 1/30 sec). Gone to See Florida 2014. Day 3: St. Petersburg & Fort De Soto Park. 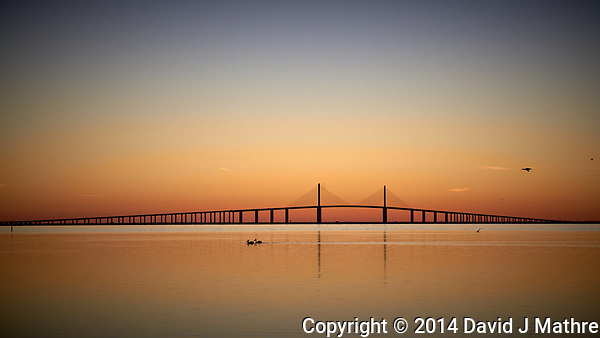 Sunshine Skyway Bridge at Dawn from the East Beach at Fort De Soto Park. 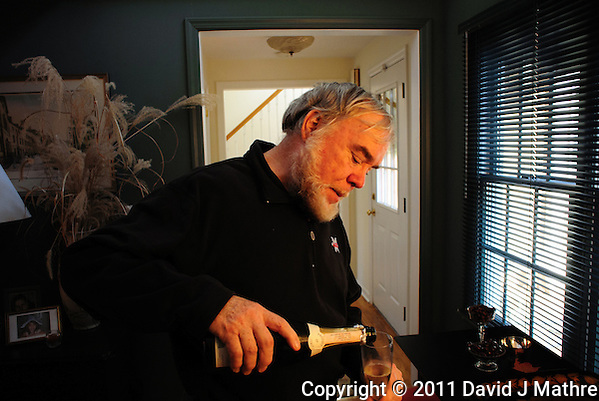 Image taken with a Leica T camera and 18-56 mm lens (ISO 400, 56 mm, f/7.9, 1/250 sec). Raw image processed with Capture One Pro 8, Focus Magic, and Photoshop CC 2014. I wish everyone a Happy Thanksgiving. 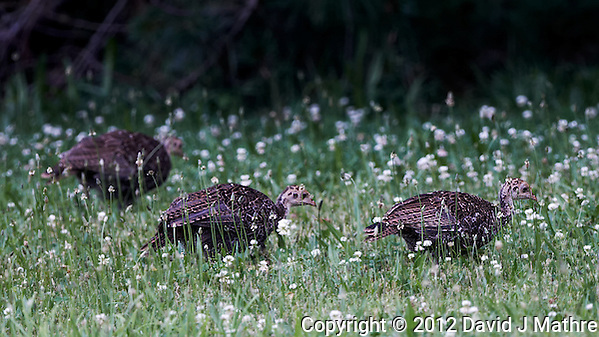 This is an image of three young wild turkeys in my backyard earlier this year. Carol and Laurin’s Annual Thanksgiving Dinner. Carol and Laurin from across the street invited me to their annual Thanksgiving celebration dinner. This year Carol used some Bittersweet vines from my yard for decorations. I took a number of images with my new Nikon 1 V1 camera, with a 10 mm f/2.8 lens. I was trying to see what I can do with a small camera without a flash. I have 28 images to share as a slide show.